Oh. I’ve seen that look. That’s the “Goody Gumdrops, it’s Monday” look. 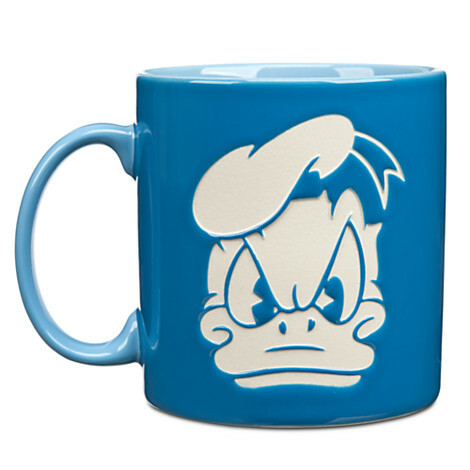 I may have perfected that look, which is why this Donald Duck Coffee Mug speaks to me as loudly as it does. The rest of the week doesn’t seem to have the same feel as that cursed M-Day. And mornings are just something that should be outlawed anyway… So, when you combine the two: Monday plus a.m. you get The Perfect Storm of Cranky brewing right from the get-go. So thank goodness for the speed of the modern coffeemaker and for the almost-happy face you make when you get to the other side of a cup of Joe! This would be perfect for those grumpy mornings when I just don’t want to get out of bed.